Updated Tuesday March 20, 2018 by Adam Blackaby. 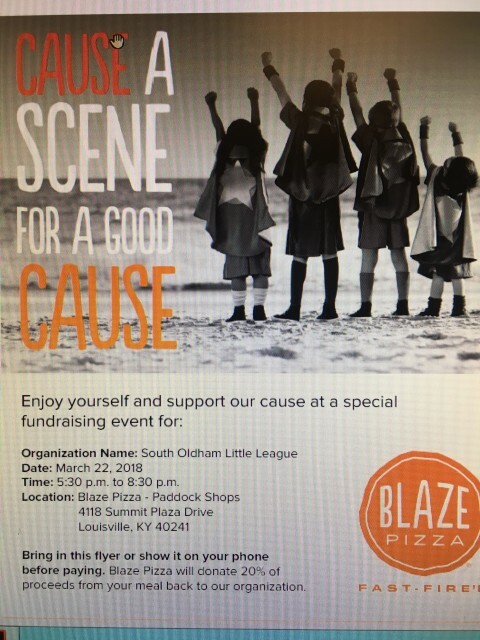 Support South Oldham Little League at Blaze Pizza at the Paddocks shops formerly the Summit shopping center. 5:30- 8:30 Thursday, March 22nd. You must bring the flier or show on your phone for us to receive the 20% kickback to the league.